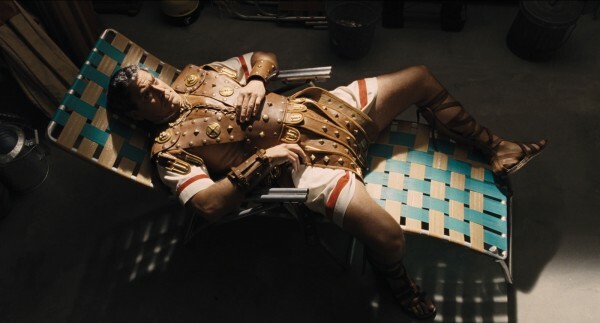 My sister, Bean, and I caught a sneak preview of the new Coen brothers movie “Hail Caesar” on the USC campus. Clearly we weren’t the only ones keen to see it considering that by the time that we got there the line was stretched all the way to the neighboring building. We made it to the check in table and they stopped the line and closed the doors to the theatre. I was going to be really angry at myself for not yelling at that clot of undergrad line-jumpers if it meant that we didn’t get in. Not to panic, they told us- we just need to see how many seats are left to fill. They let in ten more people. We were two of them. Being so close to the wire meant that we couldn’t sit together, which took a bit of the fun out of it, but I enjoyed the movie nonetheless. Bean found portions of it hard to follow, but it made perfect sense to me: this chaotic, contradictory circus of a profession that I’ve chosen for myself. A profession that sometimes feels more like a calling than a job, because why put up with it otherwise? Making movies isn’t curing cancer, but yet… Somehow it still seems to share some thematic roots with religion: stories about indefinable, larger than life sort-of gods, written in light for eternity. I liked it. It had layers. ~ by Gwydhar Gebien on January 29, 2016.